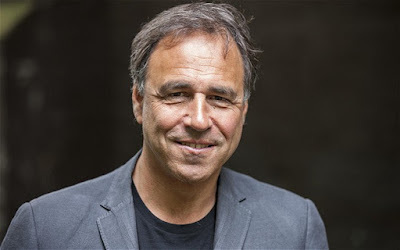 Anthony Horowitz (1955-) wrote eleven adaptations for Agatha Christie's Poirot between 1991 and 2001. His body of work is too long to summarise here, but he is a miracle man. Where does he get his energy from? In addition to Poirot, he created and wrote nearly all the scripts for the exceptional Foyle's War (2002-2013) and wrote the first few scripts for Midsomer Murders (1997-). He also wrote and created three other successful crime dramas; Murder in Mind (2001-2003, with a significant role for David Suchet in the first episode "Teacher"), Collision (2009) and Injustice (2011). 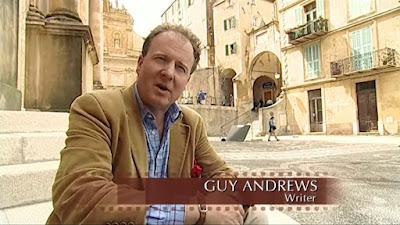 Outside of television, he is a renowned author of young adult novels, and has written for both the Arthur Conan Doyle / Sherlock Holmes (The House of Silk, Moriarty) and the Ian Fleming / James Bond (Trigger Mortis) estates. So he is by no means a stranger to the crime genre. "Brian Eastman [the original Poirot producer] was thinking of doing a series of Maigret and they brought me in as a possible writer, and when that didn't happen, I ended up writing scripts for Poirot. Actually, I'm much more of an Agatha Christie than Georges Simenon fan. I first encountered her as a student in my gap year and read them while I was travelling around the world – I think I read about 30 of them in one long journey. Why be snooty about her? She is what she is, which is a wonderful constructor of puzzles." (The Guardian interview, 2013).